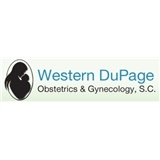 Western Dupage Obstetrics & Gynecology (Woodridge) - Book Appointment Online! At Western Dupage Obstetrics & Gynecology, S.C., we strive to provide the highest level of care through our highly skilled health care professionals and technology. We are devoted to addressing the individual needs and demands of patients in a warm and caring environment. With over 25 years of experience, Dr.Banuelos demonstrates professionalism and expertise at every level. We offer a full range of obstetrics and gynecology services from your your first exam to childbirth, and through menopause and beyond. Our goal is to offer patient-centered care based on mutual trust and communication. I have been a patient of Dr. Banuelos' for over 20 years. He continues to be a great doctor!